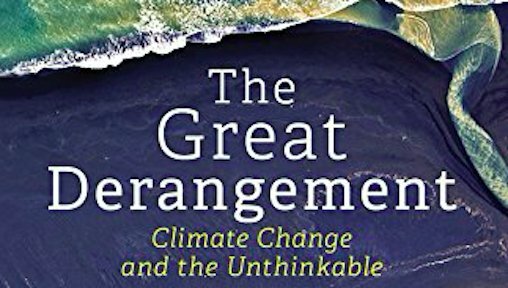 “Serious contemporary literature has failed to consider climate change as part of its narrative.” observed acclaimed writer Amitav Ghosh, speaking at an event to launch his latest book, The Great Derangement: Climate Change and the Unthinkable. Ghosh is somewhat baffled at the ignorance shown by writers towards the subject of climate change. Most of the writing on the subject takes the form of news reporting or opinion articles, usually following a natural disaster. Seldom is climate change central to a novel or a piece of fiction. The book launch was held recently at the Indian Institute of Science (IISc), Bangalore. Ghosh was joined in a panel discussion by Rohini Nilekani, Chairperson of the Arghyam Foundation, R. Sukumar, professor, Centre for Ecological Sciences, IISc, J. Srinivasan, professor, Centre for Atmospheric and Oceanic Sciences, IISc and Karthik Shanker, director, Dakshin Foundation. Sukumar, speaking next, observed that although the idea of climate change was propagated by science almost 30 years ago, it has only started to feature in our conversations in little over the past decade. He thinks it only really caught people’s imagination after the Nobel Peace Prize was awarded to Intergovernmental Panel for Climate Change and Al Gore in 2007. Sukumar declared that one challenge in communicating the impact of climate change in India is the paucity of information, apart from the greater levels of uncertainty in weather patterns. For example, temperatures will rise, monsoons will be affected, glaciers will melt and sea levels will rise. “But we don’t have clear information on actual impact, so how does one plan and adapt?,” wonders Sukumar. At the end of the discussion, the packed audience had a whole range of questions for the panel. From wanting to know what one can do at an individual level to mitigate the effects of climate change, to commenting on how caricatures in children books serve to educate them about their future world, the audience had pointed questions for the panel.